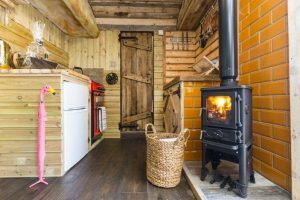 Muddy says: Enjoy something completely unique and spend the night in a Treehouse Hideaway or in the Enchanted Faraway – experience Kent in a way you might not have before! 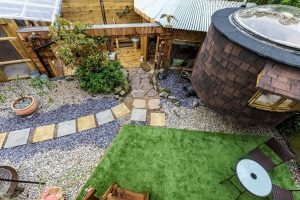 Kent Cottage Holidays have 5 uniquely different properties from the Honey Lodge Retreat to the brand new Enchanted Faraway Tree, perfect for weekend escapes, midweek breaks or full week getaways. Whether you want a romantic getaway or a place to unwind with friends (Seascape sleeps up to 12 people!) there’s something for everyone. Inside is everything you can expect from a luxury stay, they have really thought of everything! Cosy log fires, cinema screen TVs, bespoke fully equipped kitchens, comfy beds and even a welcome hamper of locally produced goods awaits you on arrival. 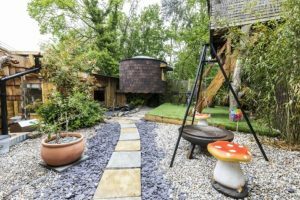 Depending on each property, outside you could have your own private hot tub or a children’s tree house – I know which one I would prefer! There’s endless things to do in and around the Kent Coast, you’ll be spoilt for choice. Honey Lodge Retreat and Treehouse Hideaway are pet friendly, the perfect chance to enjoy walks in the woods or swim in the sea.